National Home Improvement Month. Did you know that April is National Home Improvement Month? Probably not! So then, with a new garage, shed or garden building from Lidget Compton you too can get involved! Introduced by the British Home Enhancement Trade Association (BHETA) National Home Improvement Month runs throughout April. The focus of the scheme is to encourage us all to #makeonechange. That’s make one change around our homes. It could be re-decorating a room, cutting your grass, tidying your garage or painting your shed. Or it could be something more drastic like replacing your old leaky timber shed with a robust concrete shed from Lidget Compton. 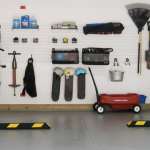 Maybe a new concrete garage would help sort out your storage problems? We even supply a wide range of stylish garden buildings, your own sanctuary at the bottom of your garden! There are lots of ways to get involved in National Home Improvement Month. So if you want to improve your property with a building from Lidget Compton where do you start? Our website has a wealth of information. 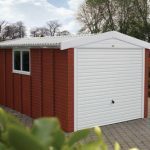 Not just on our range of garages, sheds and garden buildings, but also advice including choosing the best building. 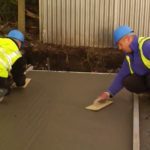 Furthermore there is information on concrete bases, insulating and lining out a building and much more! 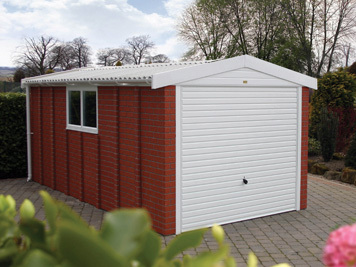 Lidget Compton supply the widest range of sectional concrete garages, sheds and garden buildings in the UK. We also supply the widest range of customisation options and accessories. In addition, we have a network of nationwide garage specialists. For the most part our agents have our latest show models on display therefore you’re never far from a Lidget Compton building! Therefore, if you would like to find your nearest Lidget Compton building specialist you can use our handy Agent Finder. Here you will find locations contact details of all our garage experts in your area. In the meantime, get involved in National Home Improvement Month today!